Willy Russell’s classic musical packs considerable punch when presented as an understated, softly spoken drama. I do not often focus on producers in reviews, but it is difficult to describe the success of this staging without looking at the production as a whole. 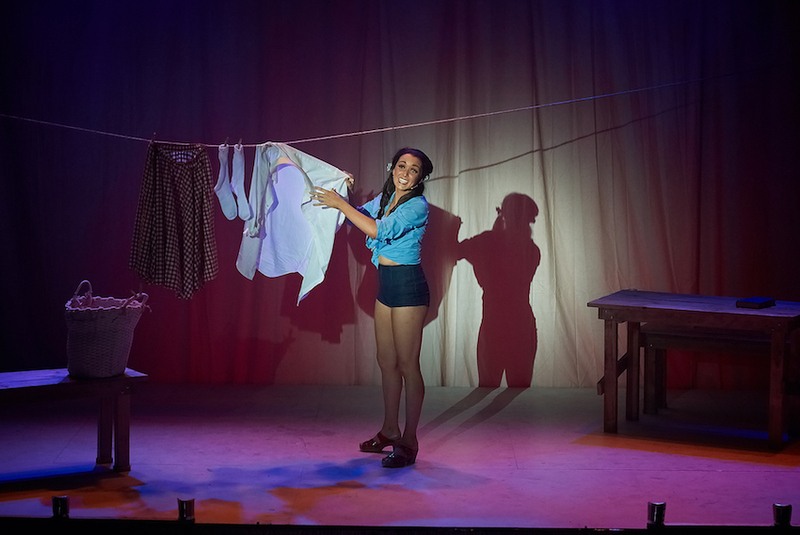 A highly talented, high profile cast (in no need of “exposure”) have been attracted to the realm of independent theatre and have been rewarded with a classy presentation featuring high than expected quality sets, costumes and lighting and amazing sound. Full credit goes to producer Enda Markey and Hayes Theatre Co for delivering the goods at such reasonable prices. Russell’s book and lyrics have a poetic air, but the simplicity of his rhymes is potentially tedious in the wrong hands. 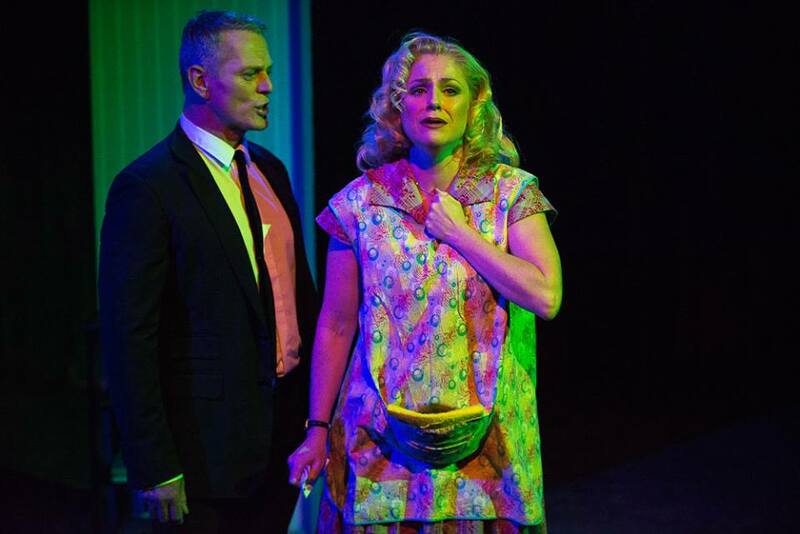 Director Andrew Pole has clearly workshopped natural delivery of the text, including dialing down the melodramatic nature of the heavily foreshadowed plot, a feat handled particularly well by Michael Cormick (Narrator) and Bobby Fox (Mickey). Cormick somehow avoids the over-the-top nature of the Narrator’s ominous premonitions, delivering his lines in a gently sinister whisper that keeps plenty of volume in reserve for the climactic moments. Cormick maintains a twinkle in his eye that can switch from mischievous to malevolent in a second, and is a wonderfully present scene partner for his fellow actors. In a highly capable ensemble cast, Fox stands out for his flawless delivery and the spark he keeps bubbling under the surface throughout. “Seven, but I’m Nearly Eight” illustrates Fox’s ability to make the simple poetic structure disappear, and his highly sympathetic portrayal of Mickey’s descent into depression is masterfully handled. Designer Anna Gardiner has made excellent use of the intimate Hayes, with solidly built sets that fold out to reveal interior settings. 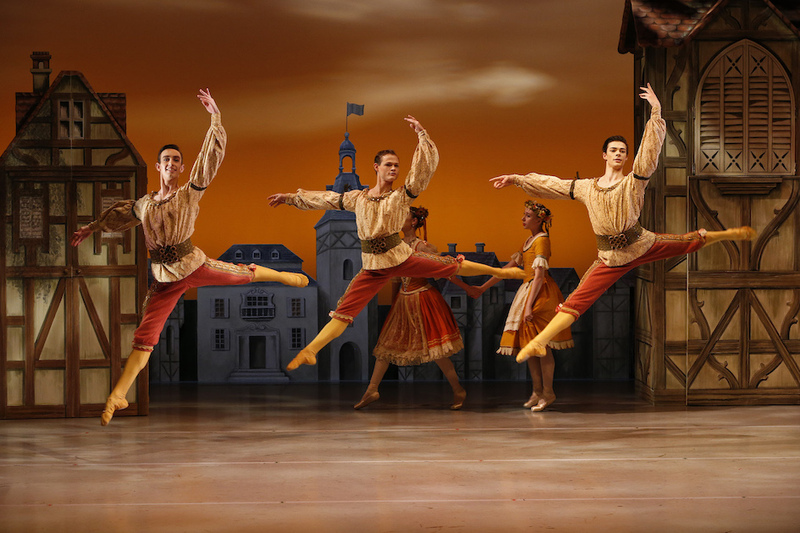 The deliberately depressing greys of the textured walls are nicely offset by the cheery tones of Gardiner’s costumes. 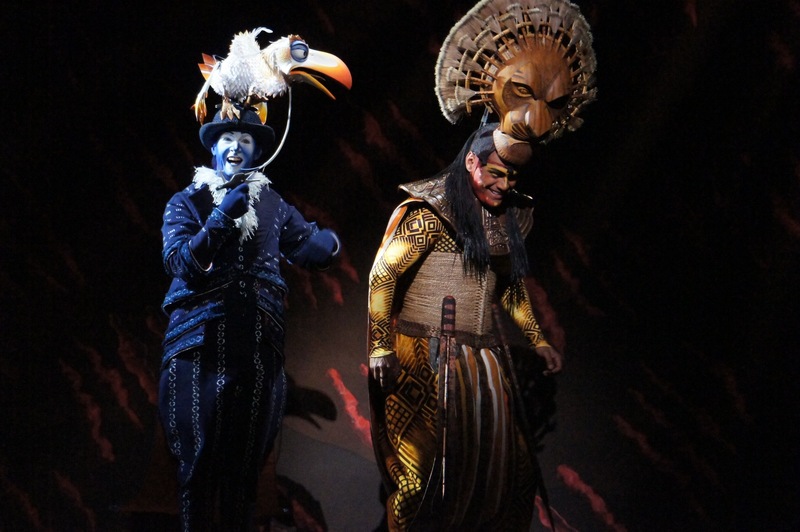 Decades of growth are traced through the impressive array of costumes. While Mrs Lyons does not quite look “posh” enough in act one, her act two appearance is an improvement; likewise, working class struggler Mrs Johnstone looks more suitable in act two with her pretty hair tied back. Musical director Michael Tyack achieves very pleasing results with only four musicians (himself included) Particularly pleasing is the gentle, highly natural sound by sound consultant Thomas Brickhill. Musicians and vocalists sound so much better without the exhausting high volumes so often heard in Melbourne boutique productions. 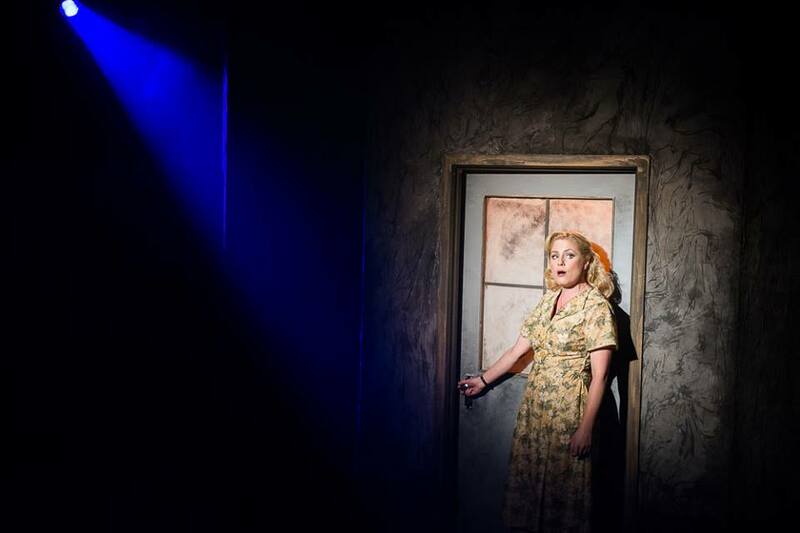 Helen Dallimore is just a touch glossy for the browbeaten Mrs Johnstone, but achieves a lovely relationship with her stage children and effectively engages audiences empathy for her plucky character’s plight. Blake Bowden does not have a chance to show off his operatic tenor, but achieves a lovely characterisation of sheltered, well-to-do Edward. There is an age difference between Bowden and Fox, but their similar hairline and height aid their depiction of the separated twins. Duets “My Friend” and ‘That Guy” benefit from the authentic camaraderie and spirit achieved between the pair. Christy Sullivan traces an interesting and believable arc for long-term playground friend Linda. Bronwyn Mulcahy’s portrayal of skittish society wife Mrs Lyon benefits from the uniform understated performing style of the cast. Highly capable actress Erin James succeeds in differentiation between a dizzying number of supporting characters. Jamie Kristian delivers the surly menace older brother Sammy. Phillip Lowe provides flexible support as Mr Lyons and a range of other cameo roles. 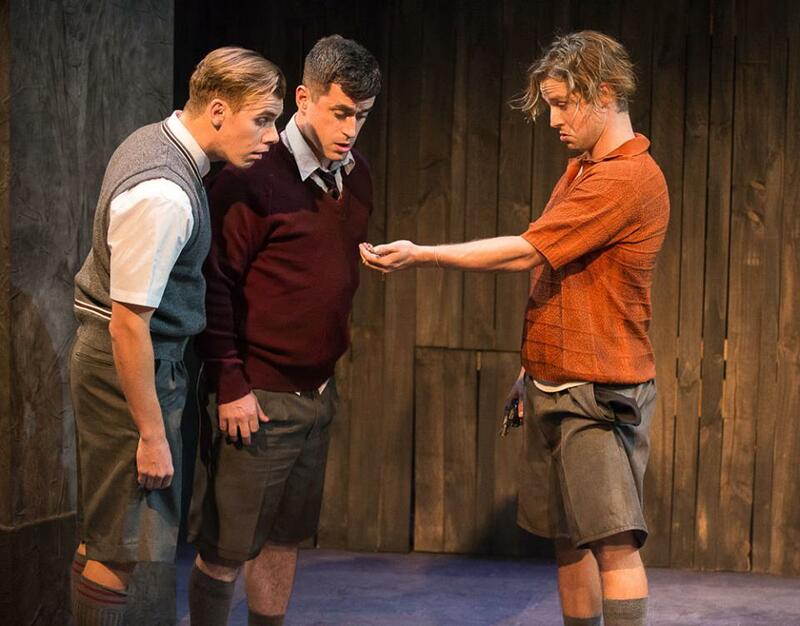 With Blood Brothers joining current Australian productions of Sweet Charity, Man of La Mancha and In The Heights , independent producers are providing a wealth of opportunities for performers and a raft of relatively affordable entertainment for audiences. Long may this welcome trend continue. 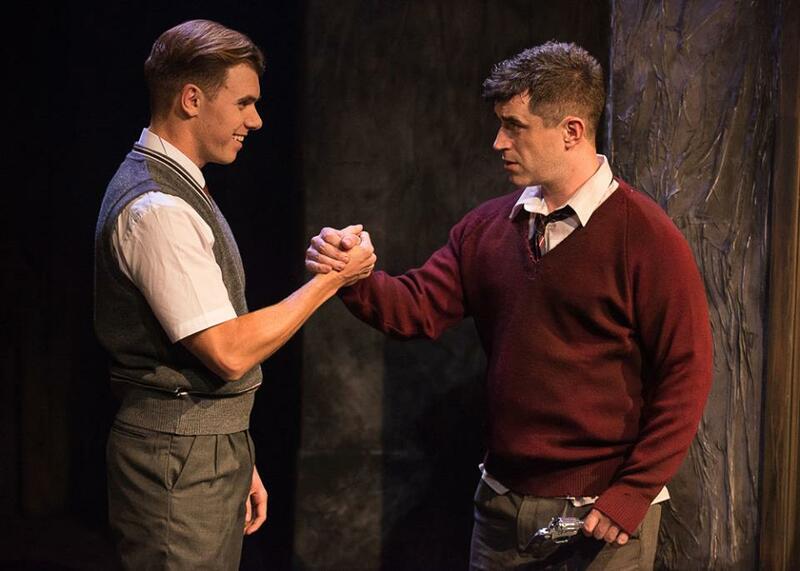 Blood Brothers was reviewed 1pm Sunday 1 March 2015 at Hayes Theatre, Sydney, where it plays until 15 March 2015.